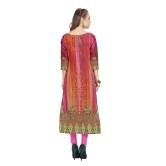 Pull Together A Chic Look By Wearing This Multicolour Kurti By Anuswara. 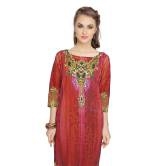 Look Classy And Stylish In This Piece And Revel In The Comfort Of Its Soft Cotton Fabric. 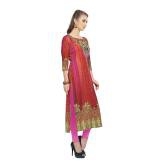 A Dupatta And Salwar Will Further Accentuate Your Ethnic Look.